Don’t you hate it when you’ve got the turkey carved, the table set, the pies in the oven, and then the wife goes into labor? 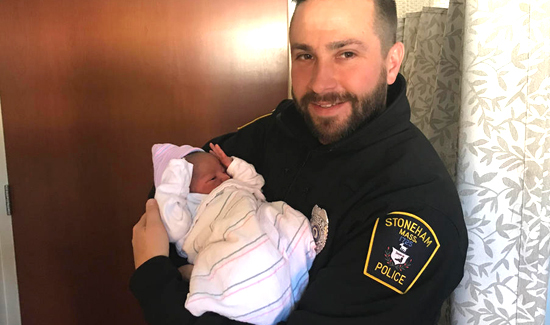 In Massachusetts, a family is thanking their lucky stars for Stoneham (MA) Police Officers Christopher Murphy and Michael Colotti. The dynamic due got an emergency service call on Thanksgiving night and arrived to find a woman in labor. She was never going to make it to the hospital, so the two cops went to work and helped deliver the baby at the residence.